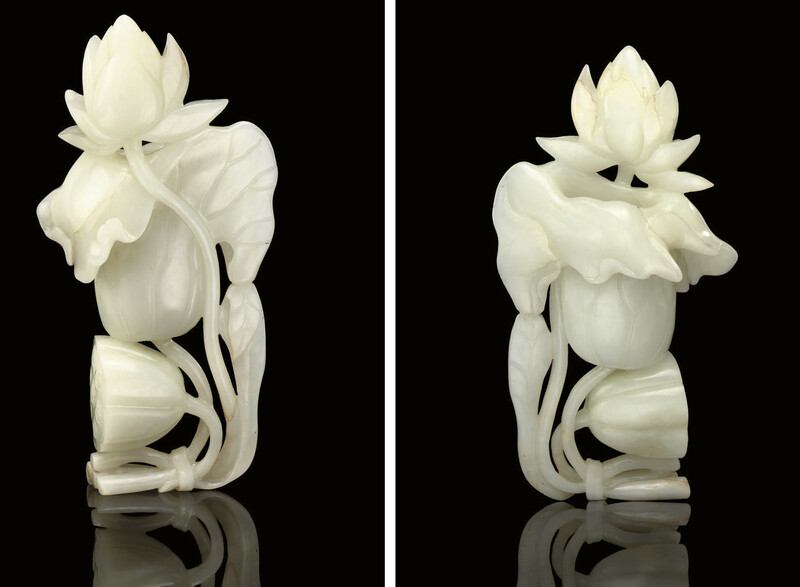 carved and pierced in openwork with three adjoined stems issuing a lotus flower, leaves and a pod, the hollowed flower holder concealed to the reverse -- 6 7/8in. (17.5cm.) high.